If you’re in need of some of the highest quality vinyl replacement windows Orange County has to offer, you’ve arrived at the right place! At Can-Do Remodeling, we pride ourselves on not only installing beautiful vinyl replacement windows, but siding and fixing, casement and awning, singe and double hung, and specialty shape windows, as well! Upgrading the windows throughout your home might not seem like it, but it’s an excellent way to improve the look, feel, and even increase the value of your entire property. Investing in upgraded vinyl replacement isn’t just an investment for your home, it’s an investment for your entire lifestyle that will offer a lifetime of aesthetic benefits and overall comfort. Plus, since Can-Do Remodeling is an eco-friendly company, as well, you’ll enjoy the added benefit of saving a significant amount of money on your monthly energy expenses. 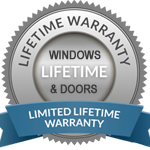 So, what do window replacement and upgrading services actually entail? First, our team of experienced professionals will head to your property and perform a thorough and detailed, yet no-pressure and cost-free, diagnosis. Then they’ll determine exactly the best ways to improve your home’s appearance and comfortability. Then, you’ll simply discuss the financial and logistical aspects, which involves affordable pricing, quick and easy financing, and a limited lifetime warranty. And finally, we’ll get to work and your home will look much better in no time! In addition, we offer a wide variety of quality window upgrades for just about every multi-family application. Our windows and be operational as well as fixed, and are designed specifically to perform with the energy, acoustic, and structural properties of your home (or business). Whether you need window upgrades, door improvements, patio covers, or a brand new sunroom installed, our team at Can-Do Remodeling is here to help you achieve all your homeowner goals. Give us a call today to learn more: 714-752-3407!